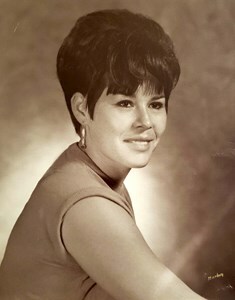 Newcomer Family Obituaries - Barbara Jean Garcia 1946 - 2019 - Newcomer Cremations, Funerals & Receptions. Add your memories to the guest book of Barbara Garcia. Mom, I Love you and Miss you more than earthly words can say - but for now I shall tell you that I cannot wait until I am in your arms again among His Almighty Peace, Joy and Happiness. I know that I must continue this journey here without you, and although my heart is broken, I continue to carry you with me. I ask you to follow me and be with me through all my days, whether they be Grand or those when I really need you the most! Please watch over me Mother, and may I continue to find Peace and Serenity with all the Love you've shared with me - I am Forever Grateful for your unconditional Love. I know that you hold hands and walk alongside your loving sisters, Aunt Bunny, Aunt Phyllis, Grandma and Grandpa. You are now in His Grace, with Our Father, in His Everlasting, Eternal domain - May He guide my Love and Heart until I am with you again, my Beloved Mother. You'll find a piece of mind when you remember her smiling face. I know it hurts no one is ever ready to say good-bye. But as you finally drift of to sleep let her memory hold you tight. Helping lead you on the path between what' wrong and right. Please don't ever think for a second that your mother will forget you. d she has the most wonderful memories of a little boy and girl. Up to Heaven free of pain which is her new home to stay. Your mother can always hear you and your mother will always care. And she loved nothing more than being your mommy, and your daddy's wife. Even though she's and angel and has had to fly away.